I went to Goodwill this weekend to find some new work clothes. Now that I’ve started a new job, I need to look a bit more presentable. At my last job I could wear jeans and wrinkled shirts every day. It was really nice. Now I need to step it up a notch. I can’t wear jeans and I need to get out my forlorn iron. And while I did find much needed clothes, I also found a few other goodies. 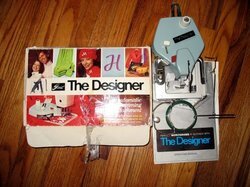 I got this monogramming kit that attaches to my sewing machine. The directions say I can be monogramming stuff in seconds. We will see how long it takes me to get this up and running. 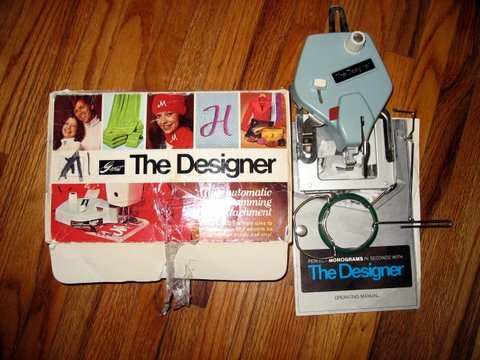 Of course I have to factor in the time to dust off my sewing machine. All the pieces were there and if this actually works, it’s going to be a great find. Yes, it’s a cigar box. What’s so great about that? 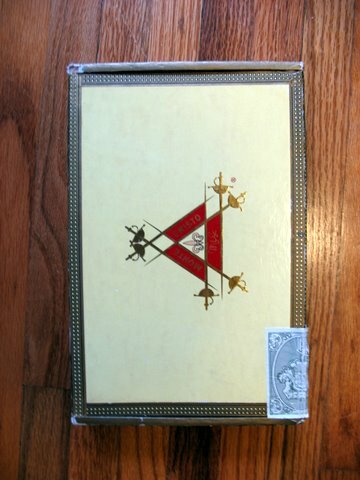 Well, I’ve been looking for cigar boxes for ages. They seem super hard to find. Plus, this was tagged with the lucky 50% off color. I’m going to use this to make an assemblage in the style of Claudine Hellmuth. I have devoured her two books and two DVDs. Now it’s time to start making something. If you haven’t checked her out yet, do. She’s amazing. I couldn’t past up another quilling tool for 49 cents. 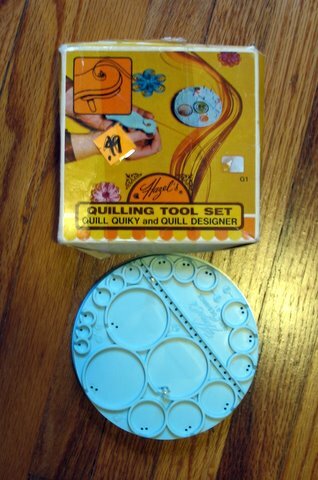 This was missing the quill quiky, but I already have a similar quilling tool. I think it will make forming quills much easier now that I have the quilling designer. My husband just rolled his eyes at this one. I got the short version of the famous ‘you have too much crap’ lecture. Still, I couldn’t pass this up, especially with the 50% off color tag. It’s a complete Betty Crocker recipe set from 1971. 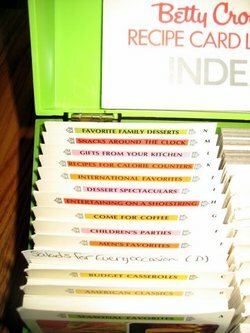 I could tell it had to be from about that time since it had one whole section devoted to fondue. These recipes are priceless. They have the morbid quality of not being able to look away from these crazy concoctions. I’m thinking about making cards that have a recipe on the front. I would attach the card, so it could be removed. 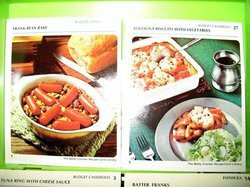 Then the gift would keep on giving since the giftee could make the dish. What a great day at Goodwill! I am really good at collecting this sort of crazy stuff. Now I need to start making stuff with it. If only there were more hours in the day! 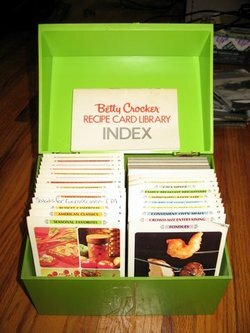 Oh, how I want that recipe set……how cool is that? 1971 is the year I graduated high school…..come on, Jolie!